Does your skin get angry whenever you eat junk food? Are your breakouts scarring up your complexion so that you can barely recognize yourself? Bergamot essential oil is the oil for you! Bergamot oil and the citrus plant, itself, are sensitive to soil quality and climate and require strict specifications for cultivation. It’s one of the 10 most popular essential oils because of its bright scent and ability to cleanse skin. Regularly utilized by the Greeks and Italians, bergamot oil offers a number of health benefits that support the mind and body. Bergamot possesses skin-rejuvenating properties that help promote clear skin. The oil also has a calming effect to reduce tension and stress, or abating feelings of sadness. This is largely due to its bright and uplifting scent. The oil’s capacity to reduce tension, along with its natural ability to support healthy skin, make it one powerful agent to have on hand when you want to look your best and feel your brightest. To reduce tension, add 3-4 drops bergamot to your diffuser and diffuse regularly. Add a few drops to your bathwater at the end of the day to melt stress away. For skin health, put 1-2 drops on the area of concern. You can also use a drop or two of bergamot in your tea for a nice citrus flavor. Lastly, you can apply bergamot topically in massage to knead relaxation into your muscles. Simply rub 1-2 drops softly over the affected area. Those with sensitive skin should dilute the oil with a carrier oil like coconut oil, olive oil or avocado oil. Avoid touching the eyes, ears, and other sensitive areas with the oil. People who are nursing, pregnant, or are receiving medical attention should consult their physician before use. Additionally, make sure to store the oil away from children. This oil is photosensitive and so you should avoid direct sunlight for 12 hours after applied topically. The next time you’re craving that Mars bar, blend together all oils in a small glass bowl. Apply topically to your feet’s reflex points. You can also diffuse the oil in the air to get the benefits. Nix the carrier oil and diffuse the pure oil throughout the room. Oriental medicine used bergamot as a stimulant of digestive function and an enhancer of energy flow. 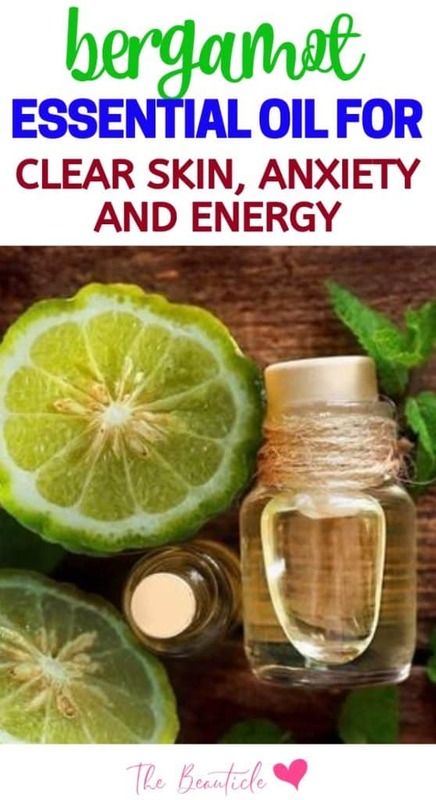 The oil calms anxiety and stress, promotes happiness and confidence, and is often used in colognes and perfumes for its light citrus scent. Bergamot also provides the skin with its anti-inflammatory, anti-aging, antiseptic, and antibacterial properties. For all of these reasons, bergamot is a great oil to have in your kit. For a more powerful blend, it can be combined with lavender, wild orange, and lemon essential oils to compound the mood balancing, stress-relieving, and genuinely joyful effects of the aroma. They also each offer their own properties that synergize with those of bergamot’s, creating not only a bright and fresh scent, but also a positive impact on the skin and the body’s systematic functions. Below is the recipe for this fantastic body spray, ideal for Spring and Summer. The main proponent of this massage oil is coriander essential oil. This seasoning was long used to relieve digestive issues, like indigestion and nausea, while generally fortifying the digestive tract. Coriander essential oil can also be used to detoxify the body of heavy metals and is excellent at relieving pain and stimulating the nervous system. For this reason, along with the oil’s stimulating scent, coriander is beneficial to energizing those who feel weary from fatigue or exhaustion. Enhance energy and uplift the spirit by blending all ingredients in a glass jar or container until well combined. Massage into the reflex points of the feet or in a full-body massage.